Heading into the Gilbane Boston conference next month we have case studies that feature quite an array of enterprise search applications. So many of the search solutions now being deployed are implemented with a small or part-time staff that it is difficult to find the one or two people who can attend a conference to tell their stories. We have surveyed blogs, articles and case studies published elsewhere to identify organizations and people who have hands-on-experience in the trenches deploying search engines in their enterprises. Our speakers are those who were pleased to be invited and they will be sharing their experiences on December 3rd and 4th. From search appliances Thunderstone and Google Search Appliance, to platform search solutions based on Oracle Secure Enterprise Search, and standalone search products Coveo, Exalead, and ISYS, we will hear from those who have been involved in selecting, implementing and deploying these solutions for enterprise use. From a Forrester industry analyst and Attivio developer we’ll hear about open source options and how they are influencing enterprise search development. The search sessions will be rounded out as we explore the influences and mergers of text mining, text analytics with Monash Research and semantic technologies (Lexalytics and InfoExtract) as they relate to other enterprise search options. There will be something for everyone in the sessions and in the exhibit hall. Personally, I am hoping to see many in the audience who also have search stories within their own enterprises. Those who know me will attest to my strong belief in communities of practice and sharing. It strengthens the marketplace place when people from different types of organizations share their experiences trying to solve similar problems with different products. Revealing competitive differentiators among the numerous search products is something that pushes technology envelopes and makes for a more robust marketplace. 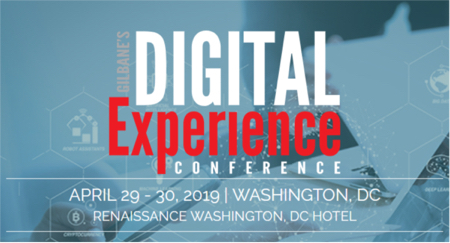 Encouraging dialogue about products and in-the-field experiences is a priority for all sessions at the Gilbane Conference and I’ll be there to prompt discussion for all five search sessions. I hope you’ll join me in Boston.